Hello! 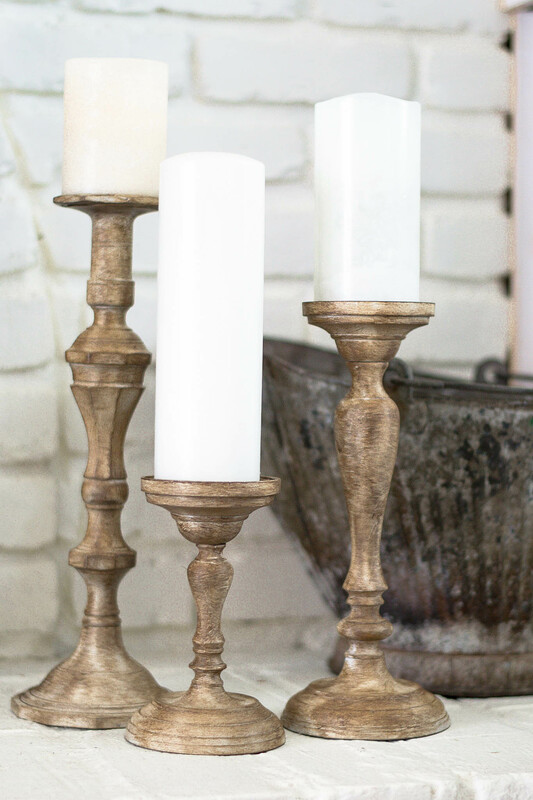 My name is Jessica and I write a home renovation and DIY blog at The Vanderveen House. 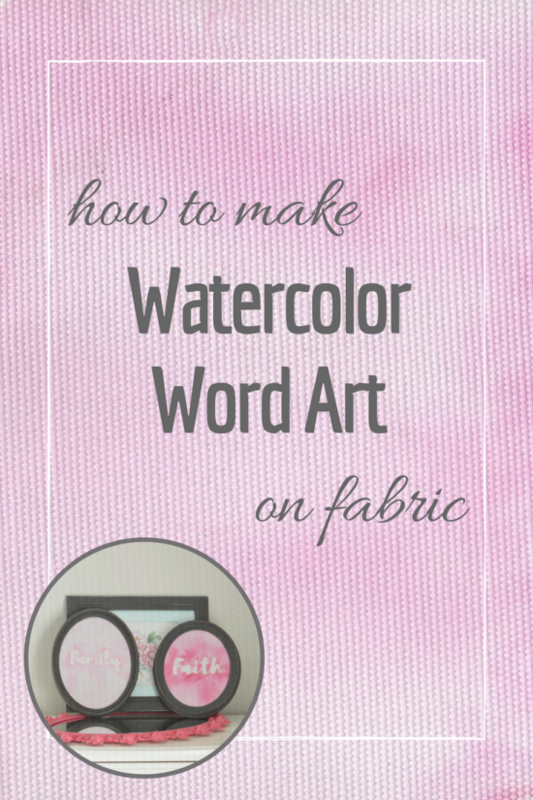 I’m here as a guest today to show you how to make your own watercolor word art on fabric using removable resist and Jacquard Dye-Na-Flow fabric paints. 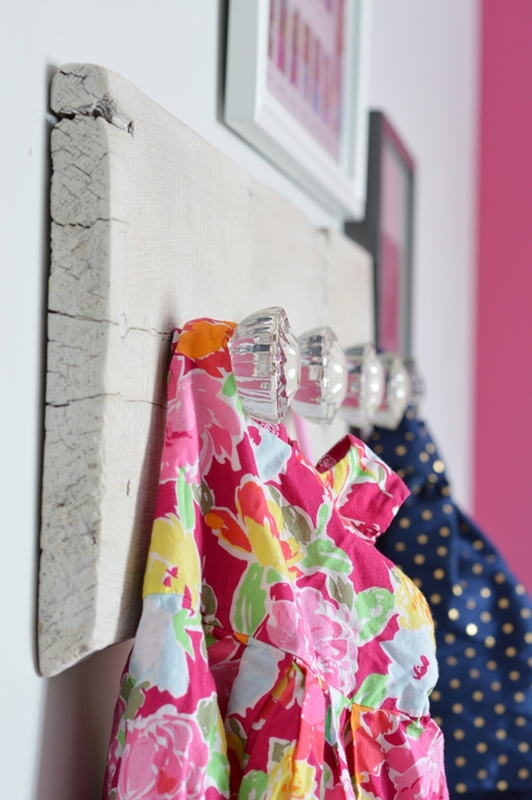 This is a very simple and fun project, and there are endless possibilities of what you can make! First determine which word or phrase you want to use. 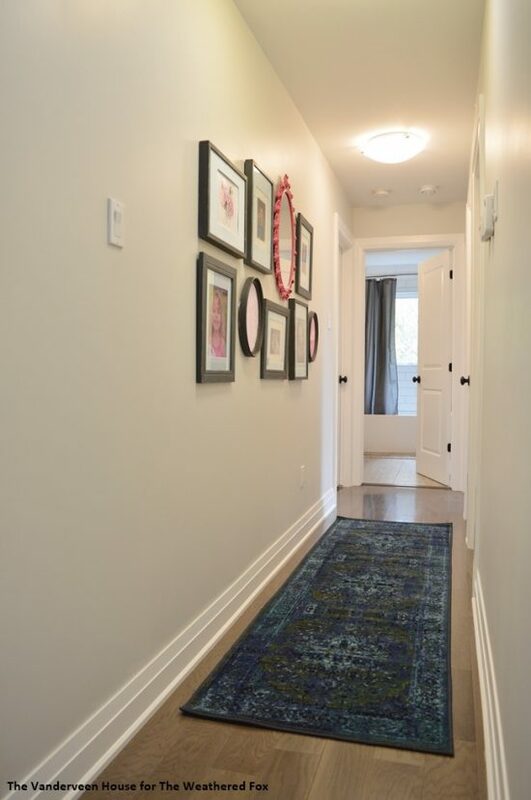 I made my watercolor art as part of my hallway gallery wall. We walk down this hall many times a day, so I wanted the words to be meaningful and reflect the important things in our lives. I typed out my words in a cursive font and printed them out on computer paper. Pour some of the Jacquard water-based resist into a small squeeze bottle applicator, and add a few drops of water to make it a little thinner. 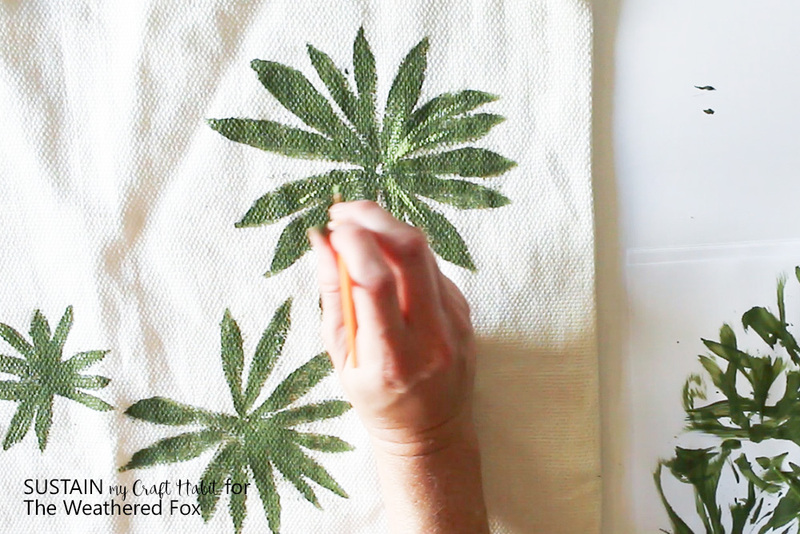 For my watercolor art I used white cotton canvas, but the consistency of the resist will depend on the thickness of your fabric. 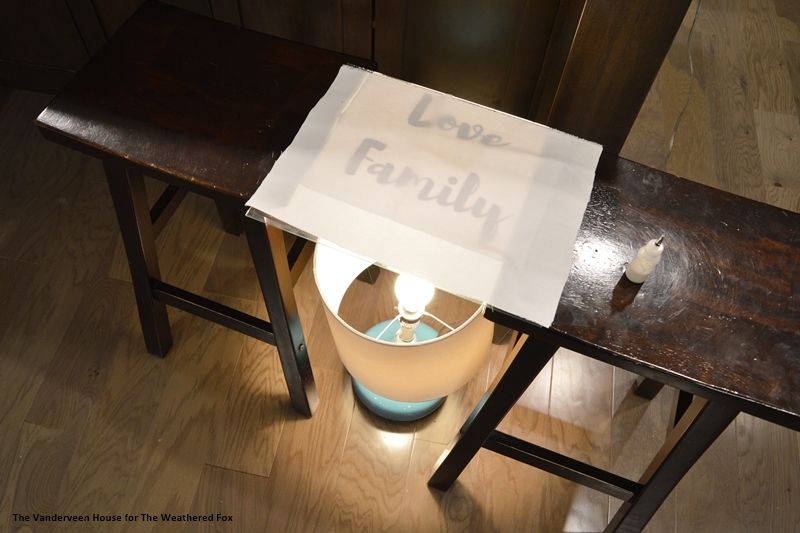 I came up with this really fancy system using picture frame glass suspended on two stools over a lamp. I put my paper on the glass, and the fabric on top. With the light shining up I was able to trace out the word with the resist. 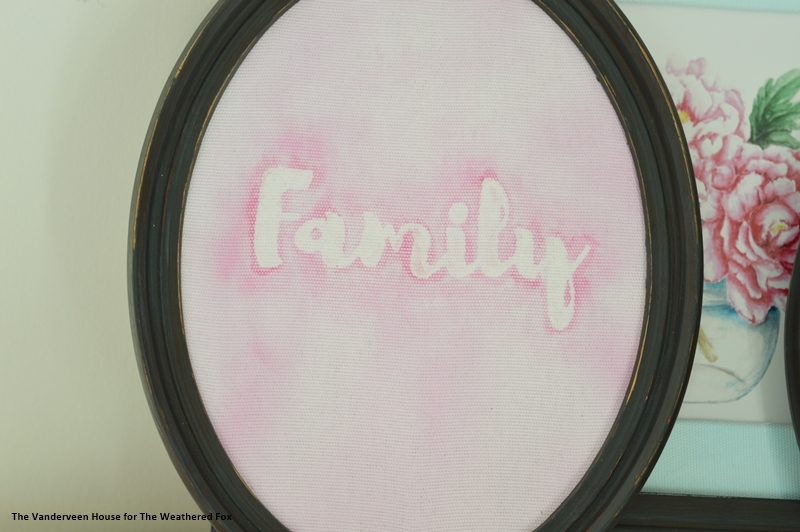 Make sure to fill in all areas of your letters so the watercolor paints don’t spread to these areas. 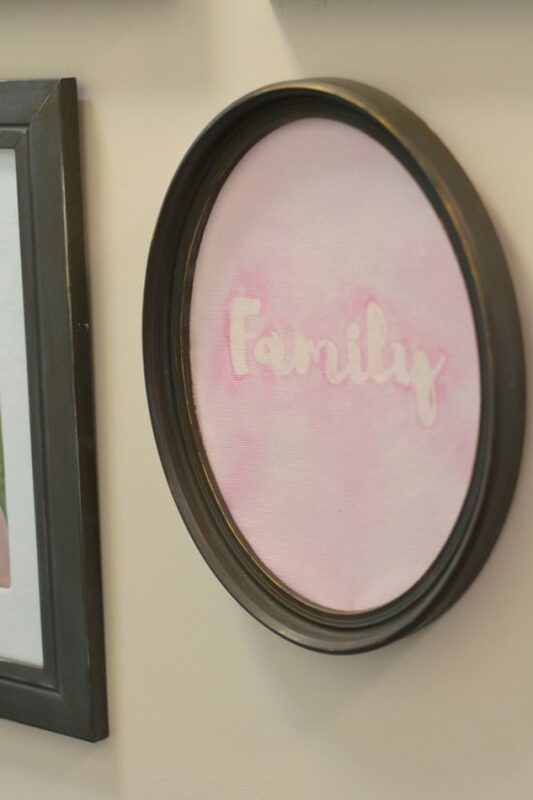 For my “family” word art, I used Jacquard Dye-Na-Flow Magenta and Cranberry Red to create different shades of pink. 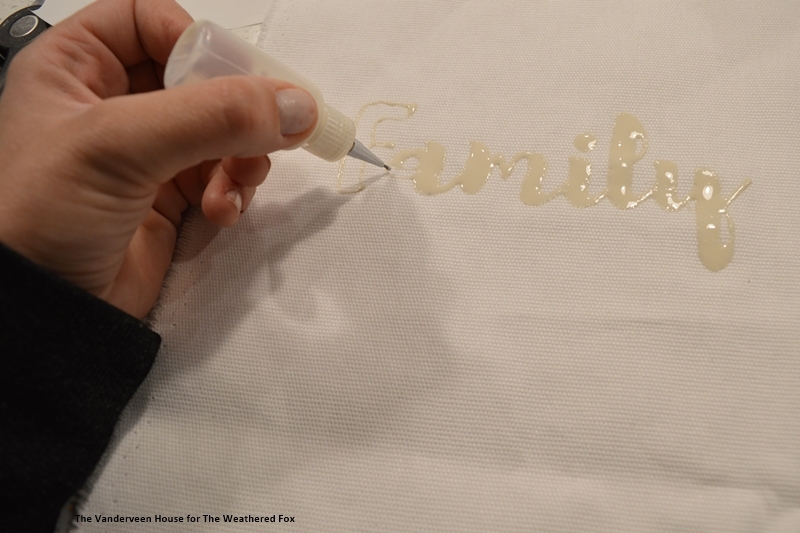 First I lightly sprayed the fabric with water to make sure the paint would spread. 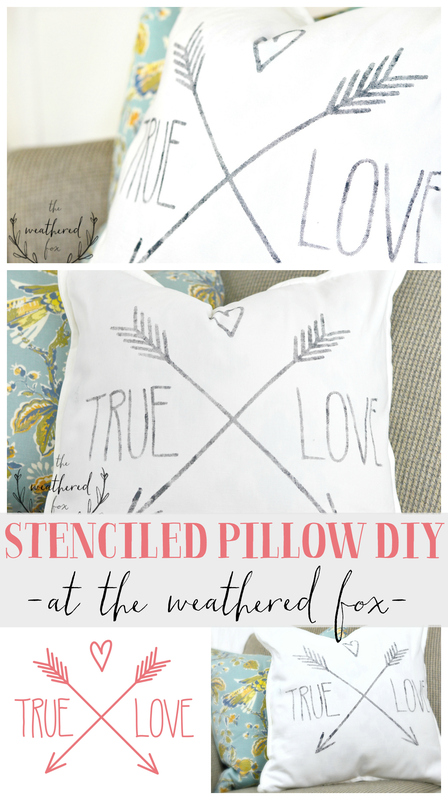 Then just use your paint brush and try out different techniques! 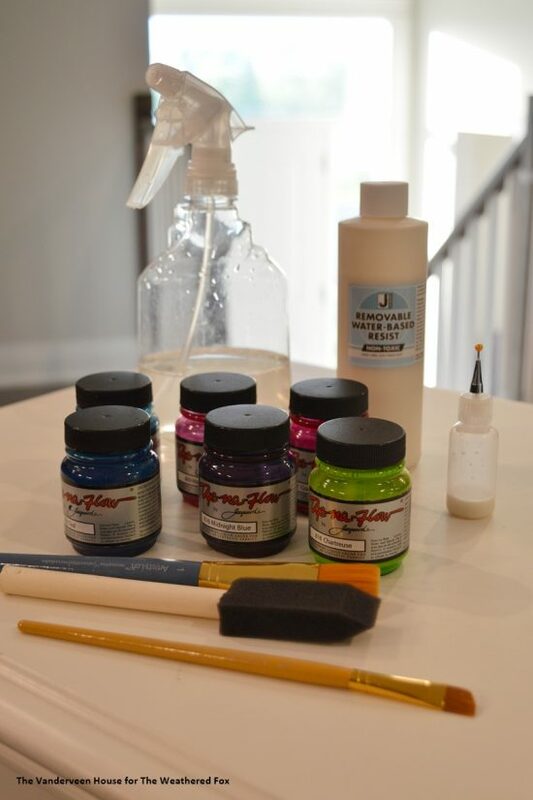 You can vary the depth of the paint by adding more water to give a light color, or leaving it as is for more intense color. 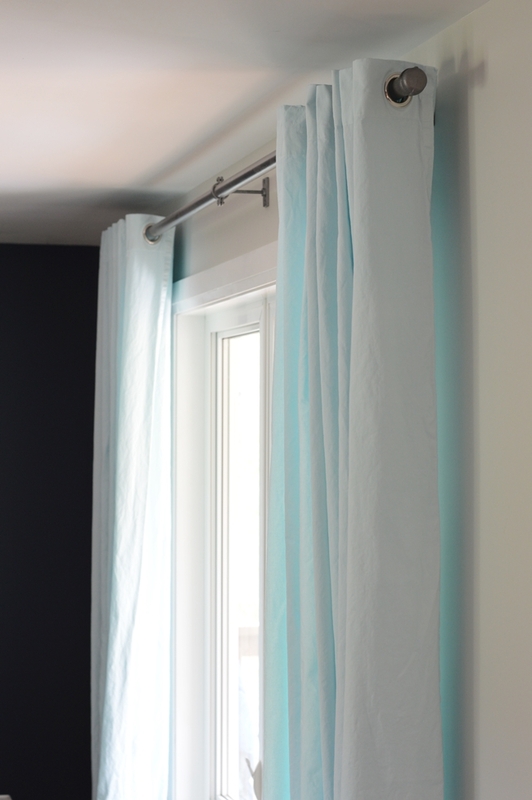 When the fabric is dry, iron it to heat set the paint. Then with warm water gently wash out the resist. 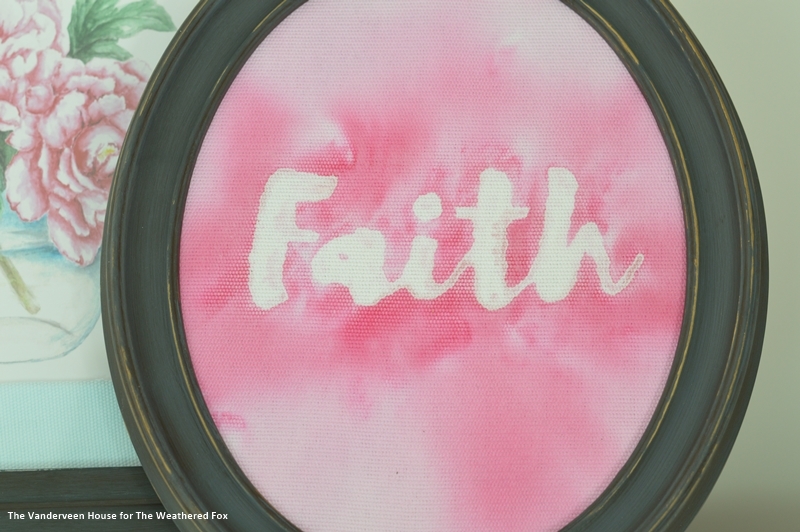 Let it dry again, iron out any wrinkles, and put it in a frame. 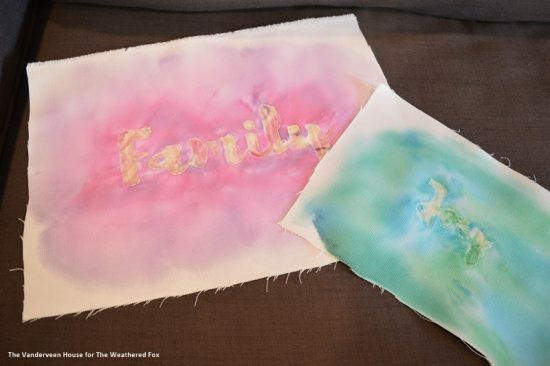 You’re left with beautiful watercolor word art that is one-of-a-kind! 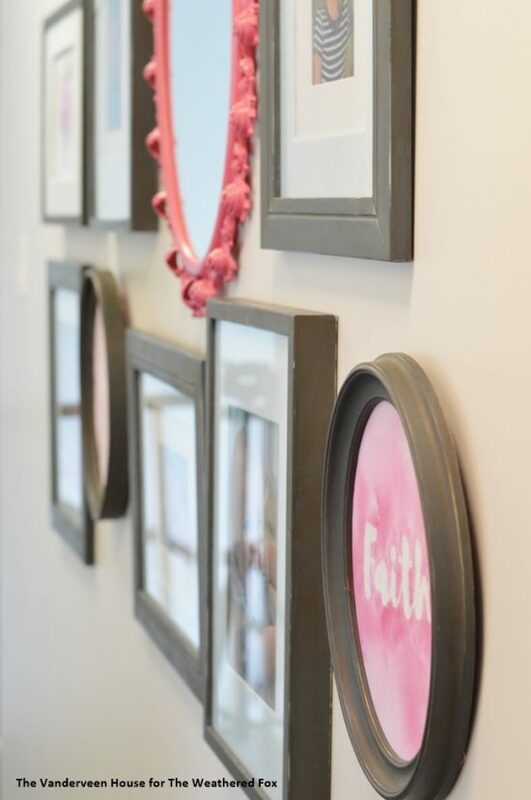 I created these two pieces for my gallery wall to add some pops of color to the navy blue frames. 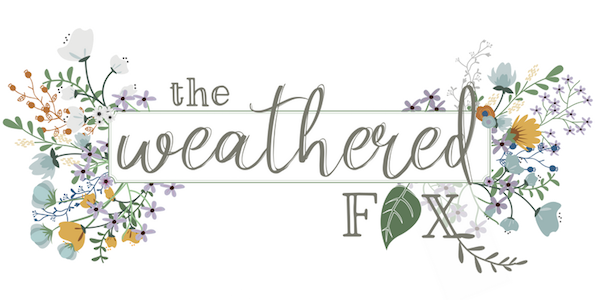 I have several of these watercolor words available in my etsy shop, but I also love doing custom orders. 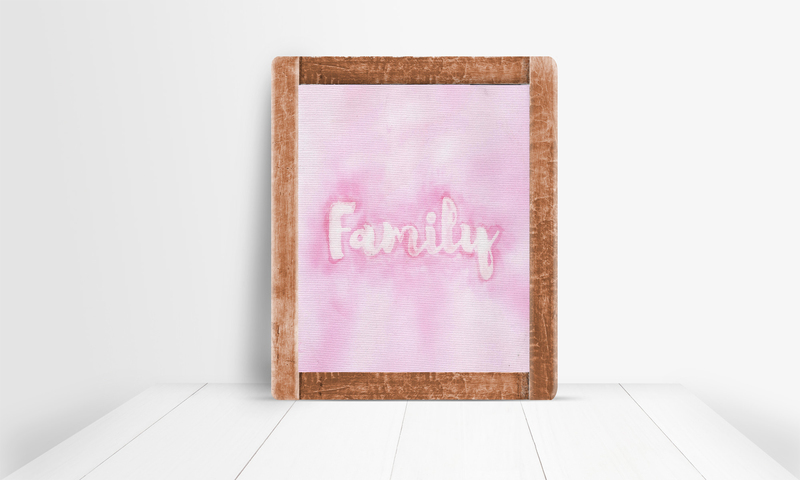 And as a bonus, you can get a free pink printable of the “family” watercolor I used in my hallway gallery wall. 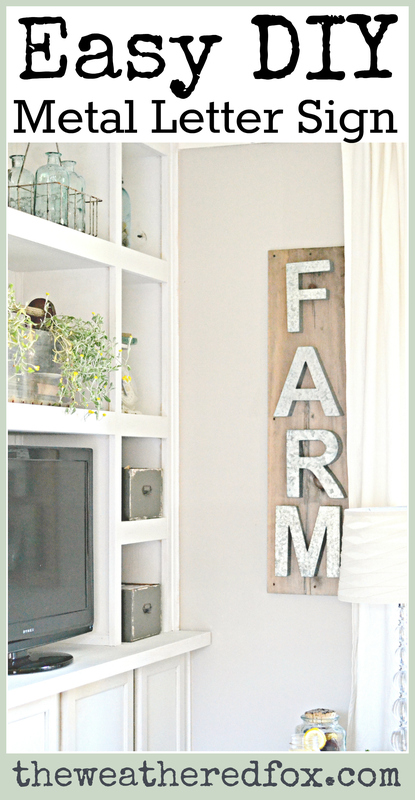 Click here to download the printable. 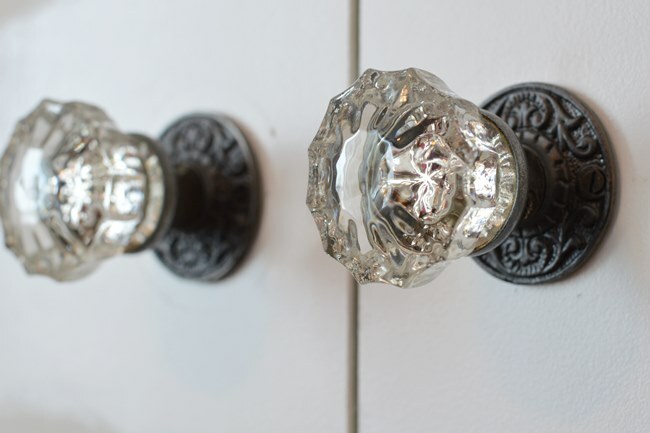 If you like this post, please check out some of my other tutorials including DIY closet pulls, IKEA curtain hack, and glass knob wall hooks. I like it! 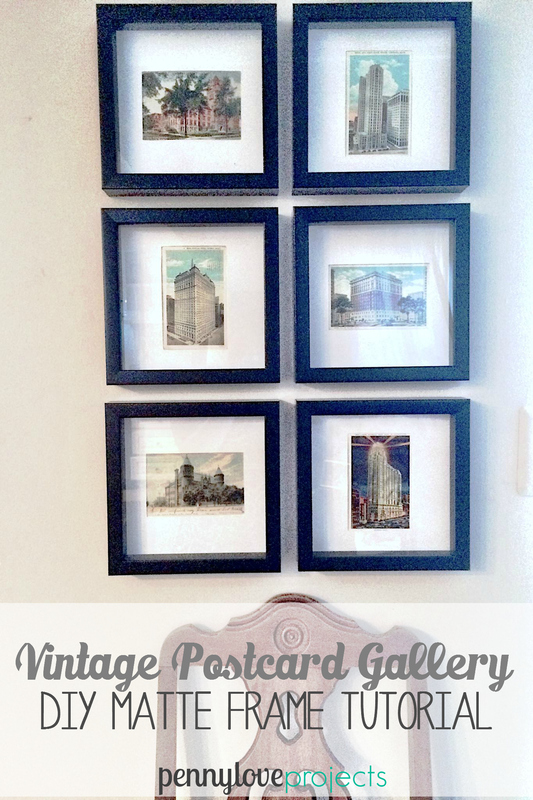 I am always looking for new ideas for wall art!